Can a Sagittarius man Pisces woman zodiac love match work? It’s a common scenario that has many wondering about whether Sagittarius and Pisces are compatible or not. While Pisces is not on the top of the list of signs compatible with Sagittarius, if both partners are prepared for the types of things that are typically problems for this pairing, it is possible to turn it into a loving relationship. Sagittarius is a fire sign, and Pisces is a water sign. Like one might expect, fire and water do not always get along the best, since they are much like opposites. The Sagittarius is full of fire, and the Pisces may do nothing but extinguish those flames, leaving a smoldering mess. Let’s start out with what Pisces and Sagittarius have in common. Both have a need for solitude and personal space, and they both are very flexible and adaptable. If their trait of flexibility is a strong one, then it is easier for them to work through their differences and get along better. The biggest problem will come with the emotional aspect of things. 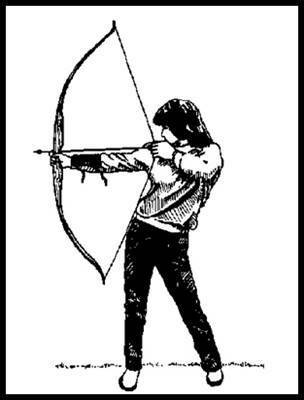 Sagittarius are not the most sensitive people by nature, and prefer things to be as simple and direct as possible. The Pisces woman will crave emotional connection and discussion, and this can sometimes be difficult for a Sagittarius male to achieve. Since Pisces women are so charming and compassionate, the Sagittarius male may find it hard to resist falling for her. However, it is usually likely that they will soon find they have many different interests and likes, as well as expectations and ideals about relationships. Pisces women are very creative and love romance and are looking for true love, whereas a Sagittarian man may be thinking more of the short term, or not be able to meet the romantic demands expected of him. Another problem that these couples may face is that the Pisces woman is somewhat conservative and humble, whereas the Sagittarius is a little more bold and exciting. Trust issues and jealousy may also become a problem as the Sagitarrius male does not like to feel tied down and faithfulness is sometimes an issue. Even if married and they do not cheat on their wives, it is likely they will instead eventually turn their energy into something else, such as a hobby or other interest. The Pisces, who only wants long lasting and eternal love may not appreciate it if their partner suddenly becomes absorbed in something – or someone else. Control and freedom are another issue this couple will face. Sagittarians love their freedom and independence, and generally disregard what others think of them. While Pisces are not controlling by nature, they will not like that their partner is constantly needing space for himself and time alone. If you are a Sagittarius man falling for a Pisces woman, be prepared to have to put a lot of extra effort into this relationship to make it work. You will need to be constantly romantic and in tune with expressing your emotions to keep her satisfied. If you are a Pisces woman falling for a Sagitarrius man, it’s important for you to realize he will likely never live up to any romantic expectations. You will also often be likely to feel a lot of doubt and insecurity in the relationship as time goes on, which can harvest more problems. Have any experiences with a Sagittarius man Pisces woman love match? Share it with us in the comments below.